Launched in the year 2000 in Denmark, the world’s largest online food ordering service provider – Just Eat -- has entered India, with acquisition of a majority stake in the Bangalore based Hungryzone. Even as the Indian and international food service operators are gung ho about the potential of the Indian market, there are operational challenges still, that may be beyond the vision of a foodservice operator today. Hungryzone now rebranded as Justeat, kick-started its business in Bangalore in the year 2006. After acquisition of a substantial customer base in Bangalore, Hungryzone received funding from Angel Broking in the year 2008. Now rebranded as the world’s largest online takeaway service provider – Justeat – it recently entered the national capital. “In a market like India, we can’t survive on a brick and mortar model only. We do need a brick and click model too. The Indian market is still fragmented with just 7.2 percent of restaurants being organized which makes a role of an aggregator quite compelling,” says Sandeepan Mitra, Director, Sales & Marketing, Justeat.in. 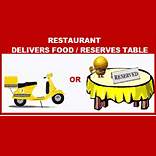 “Before ordering food/booking table each customer gets to know the exact time of delivery and ratings by customers. So we do not overpromise and under deliver to our customers. Besides, if the customer rating of a particular restaurant goes down eventually, we delist the restaurant from our portal,” Mitra further states. As on date Justeat.in has around 650 restaurants on board and a customer base of 1,00,000. Mitra informs that Justeat plans to expand to 12 more cities by next year 2012. So does he expect competition to grow in this space and how does he plan to face it? “This is a very local business and hence, there are no national players as such. However, at local levels there are small-scale players with whom we’d love to partner as we expand,” Mitra says. “Hence, the need for an aggregator, who could make online order booking convenient and efficient both -- for the consumers and the restaurants, would be gravely felt,” Mitra explains. Another important factor is that Justeat provides a platform which brings small scale players at par with larger brands. The smaller brands receive greater visibility and placement on the portal (which they might not receive through offline presence). So does that mean larger brands do not have a strong incentive to partner with Justeat.in? According to Justeat, as the demand and volume of orders grows, it’ll become increasingly difficult for the retailers to handle the volumes. Justeat postulates, that any retailer can only take eight calls/ hour (during peak hours). Hence, to grow phone orders they’d need a more sophisticated technical facility to book more orders on the phone. Besides the technical expertise, Justeat also claims to help retailers improve their operating margins and, help them track and manage orders in a better way. The brand is upbeat about its expansion plans in India and plans to grow its restaurant network to 1,000 restaurants by the year end. Currently Just-Eat is one of the fastest growing e-commerce companies in Europe. In the last year the number of restaurants taking orders online via Just-Eat rose by 80 percent and order volumes have more than doubled. How the brand fares in India remains to be seen, considering that most of the international takeaway restaurants have their own supply chain/logistic system for home deliveries. With the popularity and convenience of internet booking however, the platform promises to be a sound channel of business for the retailers.